Who wouldn't want Steve as their instructor? 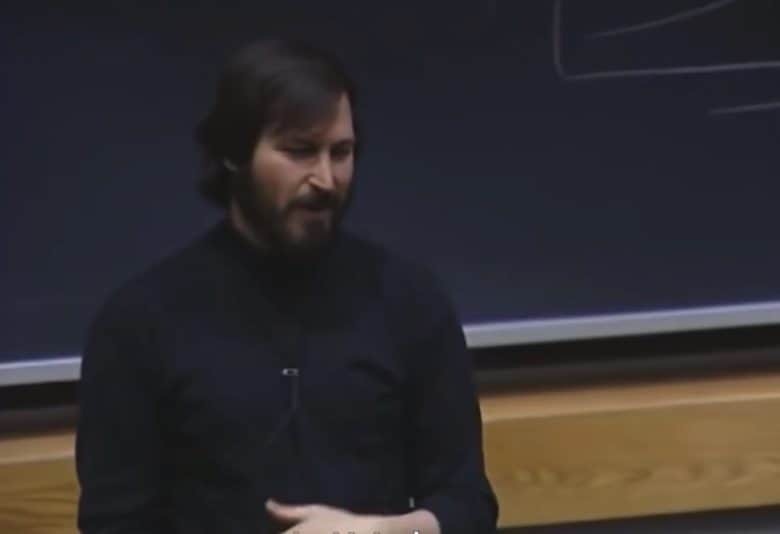 Who wouldn’t have wanted Steve Jobs to have visited their university class for a casual Q&A with the students? That’s what folks at MIT were lucky enough to experience in 1992. Running NeXT at the time, Jobs stopped by to drop some wisdom on everything from his thoughts on leaving Apple to the state of computing to his thoughts on the right way to run a company. Excerpts from the discussion recently landed on YouTube. Check them out below. Jobs then discusses how this approach can be lucrative, but it’s also tricky because to keep margins and profits high you need to create superstar products that appeal to large numbers of everyday users. That is, of course, what Apple did when Jobs returned later in the decade. Jobs talks about the importance of hiring people who will tell you where you need to go, and agreeing ideas as a team.